There is no legal drinking age in Greece if you are drinking in private. However, if you want to purchase alcohol and drink in public, you must be 18 years of age. That's the law, at least, although it isn't always strictly enforced. Drinking and driving is illegal in Greece, as it is everywhere. Winding, dark roads, unfamiliar cars, unexpected obstacles, and narrow lanes all lead to Greece having the highest road fatality rate in the European Union, whether you're drinking or not. It's as dangerous for Greeks as it is for tourists. 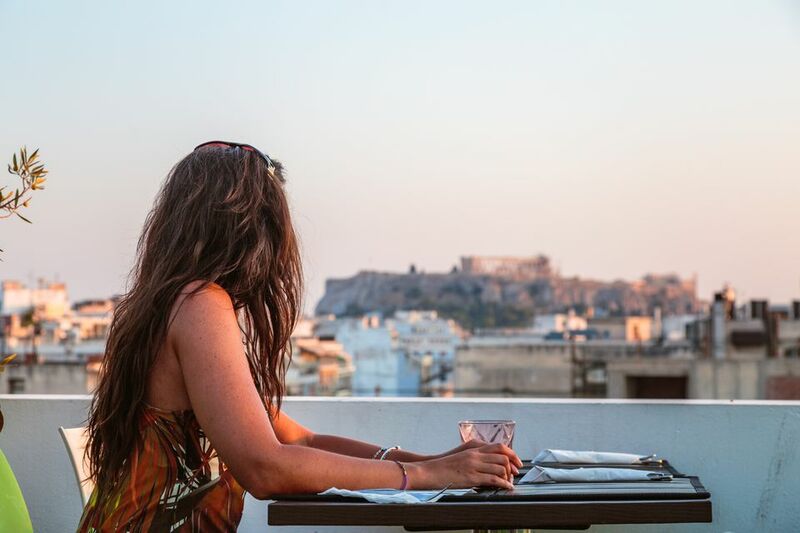 Here's what to know about drinking alcohol while visiting Greece. The legal limit is lower in Greece than in the United States or the United Kingdom. Just 0.05 will classify you as legally drunk, compared to 0.08 in the United States and England. If you're arrested for drunk driving in Greece, you need to pay the fine, which can be hundreds of Euros. Even if you believe you can drive perfectly well while intoxicated, the equally drunk guy in the other car may not be so talented. An anise-flavored aperitif, ouzo is the national alcoholic beverage of Greece (although it's widely consumed in Lebanon and Cyprus as well). If you're planning to sample the local cuisine, you definitely should try ouzo, but be advised: It's probably stronger than most liqueurs American tourists are used to. Ouzo is usually mixed with water and served chilled, or over ice. And despite its strong flavor, ouzo pairs surprisingly well with small plates of food or snacks (colloquially known as mezes). Drinking ouzo with food is advisable; as with any alcohol, food will slow its absorption and prevent you from feeling too drunk too quickly. A common sentiment among people traveling in Greece: "Wow! Liquor is so cheap in this string of beachside nightclubs catering to young people just like me!" And it's probably cheap quality, too. Sometimes, it may even be dangerously cut with pure industrial alcohols. If that drink deal is too good to believe, it is. And just because it gets poured from a top-brand bottle doesn't mean it started out in one. For this reason, many partiers stick to bottled beers, which usually are what they claim to be and are harder to tamper with. (If you can watch the bartender open your bottle, even better.) Even experienced and wary Greeks can be caught by the bad liquor served in these kinds of places. If you do plan to drink alcohol and know you might get intoxicated, take the same safety measures you would if you were at home. Stake out a table at a taverna within walking or taxi distance of your hotel. And again, a reminder about why Greeks traditionally include an accompaniment of mezes, little snacks, with their drinks: It slows down the inebriation process.